When planning a style for your garden I always take into account a number of different factors including your garden design ideas, the gardens use, the garden aspect (n,s,e,or west facing), the soil type and not least the gardens location and how the garden will sit in its surroundings. Small gardens almost always need to work harder as the space is at a premium. It is essential to establish how much light is available when choosing a small garden design, as buildings in an urban setting will often create shade. 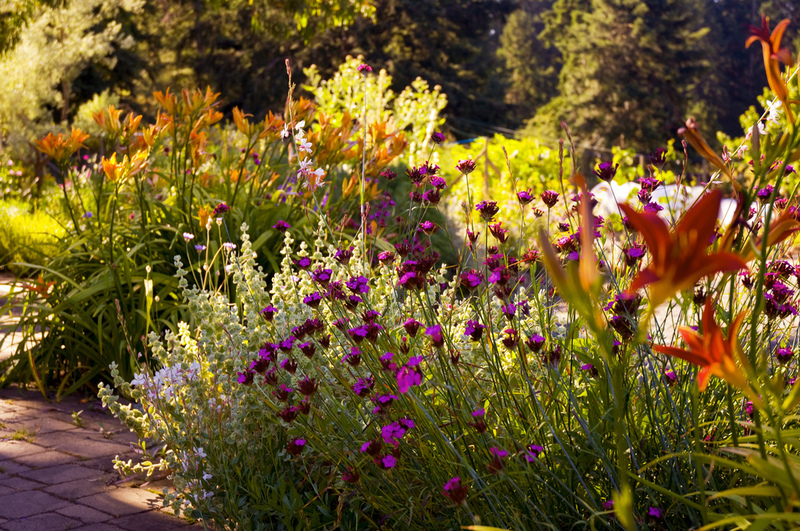 Larger gardens that are out of town may have views beyond the garden. My garden planning would tend to accentuate these panoramas; whilst obscuring unsightly views of the landscape with the clever use of screening. 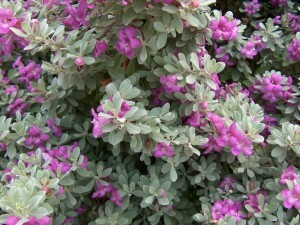 This may be in the form of planting shrubs or tall trees, or perhaps a garden structure or trellis. Whilst I am a landscape gardener, I have a very creative background and adding interest within a garden and designing gardens that stimulate the senses are my main aims. I want you to have garden features that will attract visitors, charm them and make them want to linger. 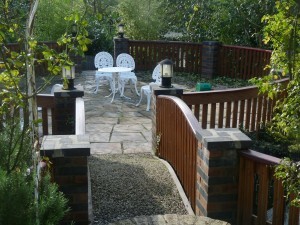 For instance, a narrow garden can be divided into garden rooms to be discovered. Obscured from the house by the planting of trees or shrubs or maybe a contemporary rendered wall these unique outdoor spaces can provide you with seclusion within a variety of garden landscaping on the one garden plot. The activities that will take place in your garden are of primary concern and I listen carefully to your needs as its these that will have an affect on how your garden functions. 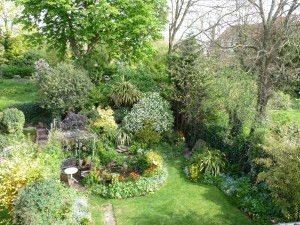 I find Its important to consider the way the garden flows as well as the way it is to be used. Do you want a terrace, garden patio or wooden decking for alfresco dining, barbeques, or merely a garden room that extends your house? Do you want cover in the garden in the form of garden sails or a garden gazebo, pegola or open loggia that is attached to the house. If so do you want this garden structure to permanent or portable? Do you have kids; they may need the garden to adapt as they grow. What kind of childrens play area or park do you want, a trampoline, climbing frame, tree house, sand-pit, swings or slide? Where will you hide dustbins and will you have a washing line and how accessible will these be? Do you need a garden shed or store for your gardening equipment, have you considered a garden office, a garden gym or garden playroom? Does the planting require a garden watering system or irrigation. Do you want a garden water feature, waterfalls, fountains or a garden pond. Once we have considered all of the elements of your garden, it’s size and limitations, you need to consider the look and feel and garden style you wish to achieve. Nowadays, working couples, families and singles have limited time to do gardening and low-maintenance formal gardens, contemporary garden designs or a chic garden style may be the answer, with brick or stone paving or even artificial grass, raised beds, evergreens and shrubs in garden pots and containers. If your garden is on a sloping site, we could incorporate a terraced garden, the landscaping may also lend itself to a courtyard garden, or, you may prefer a wilder looking cottage garden, a formal Italianate garden, a tropical garden, a Mediterranean garden or a Modern garden with garden art or sculpture. 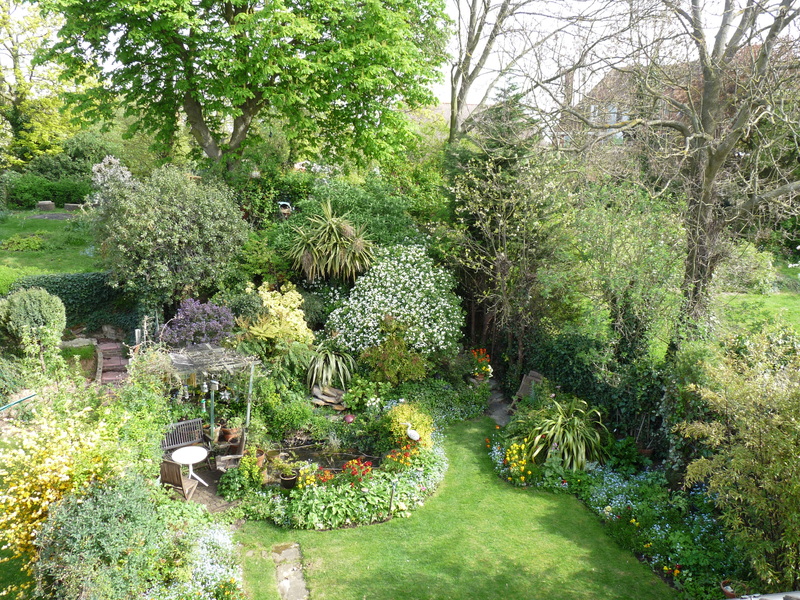 A South London Gardener for 20 years- yikes!